systems and testing devices (i.e. glove and chamber leak testing). 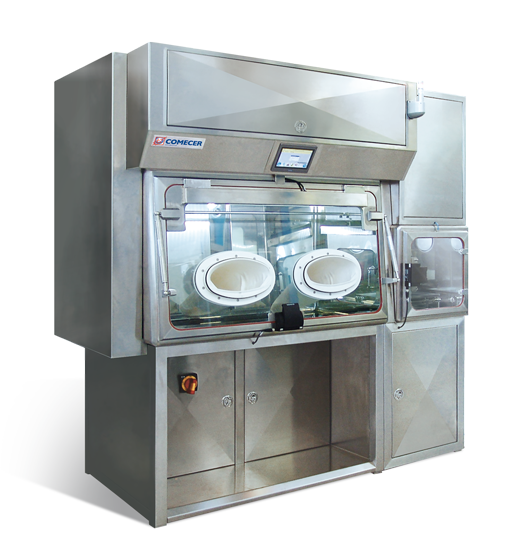 The MD&WI (Modular Dispensing and Weighing Isolator) represents an example on how the experience collected in the past years has driven to a standardization of this system which is now able to handle most of the applications in terms of simple dispensing, transferring and weighing activities of potent compounds up to more complex chemical synthesis and formulation processing. 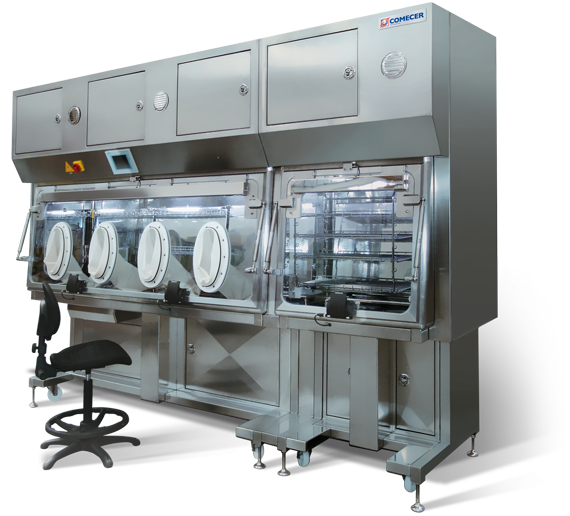 The new version of the PHL (Pharma – Hospital – Laboratory) Isolator is a good example of our capability to bring innovation to a well established product. After more than 8 years of applications all around the world, the new restyling of the PHL incorporates a new modularity concept, the adoption of touchscreen HMI, VPHP decontamination ready, and many other features that make it the best solution for Cytotoxic material handling. Given the highest level of flexibility in terms of operation modes the PHL is recognized as cutting edge technology for R&D laboratories. New entries in our portfolio also include the integrated VPHP (Vapor Phase Hydrogen Peroxide) into our Modular Sterility Testing Isolator (MSTI) and the wireless Glove Integrity System. Comecer is happy to announce its participation at the Pharmintech 2013 Bologna. 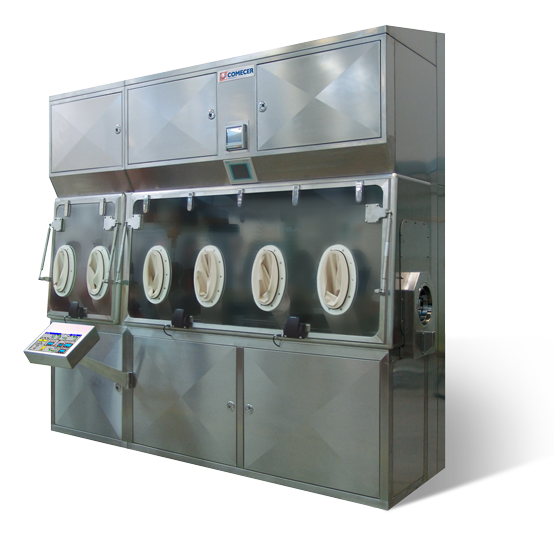 Comecer’s products are designed for Pharmaceutical and Food Industries, R&D, Hospitals, Universities and Laboratories. The Comecer team will be happy to receive all who are interested at Pavillion 19 booth C37, to help you with real solutions for your manufacturing challenges.